How many of the people who make games fear some of the people who play them? 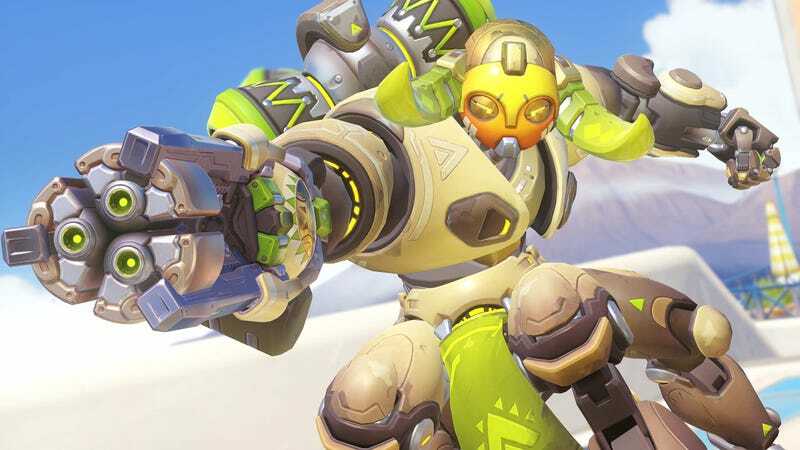 That question drove conversations last week among quite a few game developers, and over the weekend, Overwatch director Jeff Kaplan offered his own take: Lots. And if you’ll allow me to speak openly for a moment — it’s scary. Overall, the community is awesome to us. But there are some pretty mean people out there. All of our developers are free to post on these forums. Very few of us actually do because it’s extremely intimidating and/or time consuming. It’s very easy to post the wrong thing and make a “promise” to the community that no one intended to make. Once we say we’re working on something, we’re not allowed to “take it back”. It’s set in stone. Also, because we are open with you and do not hide behind an anonymous handle (like all of you have the luxury of doing), we often times get personally attacked and threatened. Of course the team talks about Mercy. Of course we talk about Ana. But we talk about all of the heroes. If we post, “we’re talking about Mercy” immediately there is an expectation that she is going to be radically changed in the next patch when the truth is, we might just leave her how she is for a while. We’re not allowed to post that here without our bosses (and I am talking literally here) receiving emails from some of you demanding we be fired. It’s not exactly what I would call a safe environment for creative people to openly express their thoughts and feelings. It’s yet another example of how toxicity in the gaming community can impact the people behind games, and yet another sign that things need to change.